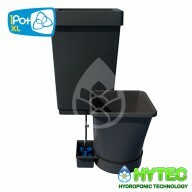 AutoPot 1 Pot XL The Autopot XL takes the system to the next level, allowing the growth of some mammoth plants. 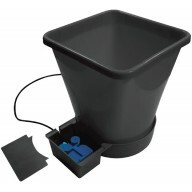 The square top and round base design allows easy rotation of the pot – ensuring even development of the plants and making them easier to maintain. 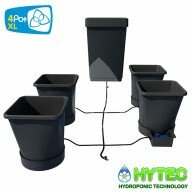 Th..
AUTOPOT 1 POT XL SYSTEM The 1Pot XL System is extremely versatile and can be used for a wide range of plant types and sizes. 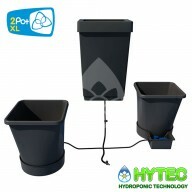 Seasonal flowering plants and perennial shrubs thrive and produce an abundance of blooms and foliage because of the unique action of the AQUAvalve, which is designed to all..
AUTOPOT 2 POT XL SYSTEM The 2Pot XL System is extremely versatile and can be used for a wide range of plant types and sizes. 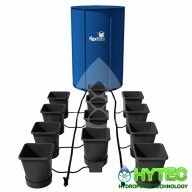 Seasonal flowering plants and perennial shrubs thrive and produce an abundance of blooms and foliage because of the unique action of the AQUAvalve, which is desig..
AUTOPOT 4 POT XL SYSTEM The 4Pot XL System is extremely versatile and can be used for a wide range of plant types and sizes. 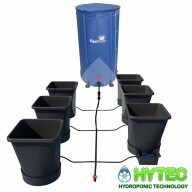 Seasonal flowering plants and perennial shrubs thrive and produce an abundance of blooms and foliage because of the unique action of the AQUAvalve, which is desig..
AUTOPOT 6 POT XL SYSTEM The 6Pot XL System is extremely versatile and can be used for a wide range of plant types and sizes. 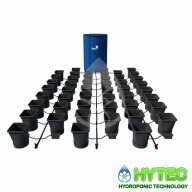 Seasonal flowering plants and perennial shrubs thrive and produce an abundance of blooms and foliage because of the unique action of the AQUAvalve, which is desig..
AUTOPOT 8 POT XL SYSTEM The 8Pot XL System is extremely versatile and can be used for a wide range of plant types and sizes. 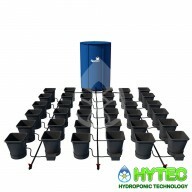 Seasonal flowering plants and perennial shrubs thrive and produce an abundance of blooms and foliage because of the unique action of the AQUAvalve, which is desig..
AUTOPOT 9 POT XL SYSTEM The 9Pot XL System is extremely versatile and can be used for a wide range of plant types and sizes. Seasonal flowering plants and perennial shrubs thrive and produce an abundance of blooms and foliage because of the unique action of the AQUAvalve, which is desig..
AUTOPOT 12 POT XL SYSTEM The 12Pot XL System is extremely versatile and can be used for a wide range of plant types and sizes. 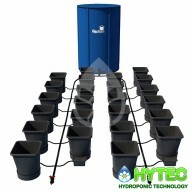 Seasonal flowering plants and perennial shrubs thrive and produce an abundance of blooms and foliage because of the unique action of the AQUAvalve, which is des..
​ AUTOPOT 24 POT XL SYSTEM The 24Pot XL System is extremely versatile and can be used for a wide range of plant types and sizes. 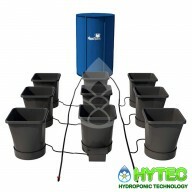 Seasonal flowering plants and perennial shrubs thrive and produce an abundance of blooms and foliage because of the unique action of the AQUAvalve, which i..
​ AUTOPOT 36 POT XL SYSTEM The 36Pot XL System is extremely versatile and can be used for a wide range of plant types and sizes. 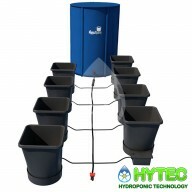 Seasonal flowering plants and perennial shrubs thrive and produce an abundance of blooms and foliage because of the unique action of the AQUAvalve, which i..
​ AUTOPOT 48 POT XL SYSTEM The 48Pot XL System is extremely versatile and can be used for a wide range of plant types and sizes. Seasonal flowering plants and perennial shrubs thrive and produce an abundance of blooms and foliage because of the unique action of the AQUAvalve, which i..